Andrew Breitbart's Big Journalism posted an interesting story by Christine Brim, calling for NPR, PBS, and the CPB to be stripped of all government funding. Brim asked the following: "Is it U.S. policy to fund organizations like CPB and PBS, that then send employees to train Muslim-Brotherhood, Hamas-associated groups like CAIR to improve their 'leadership' abilities to impose shariah defamation laws in America?" I have decided to take a serious look into Brim's claims and found that she is correct - Islam is being glorified by PBS and is part of the administration's attempt to Islamicize America, most likely to bring it closer to Kenyan-born Obama's Muslim philosophies. 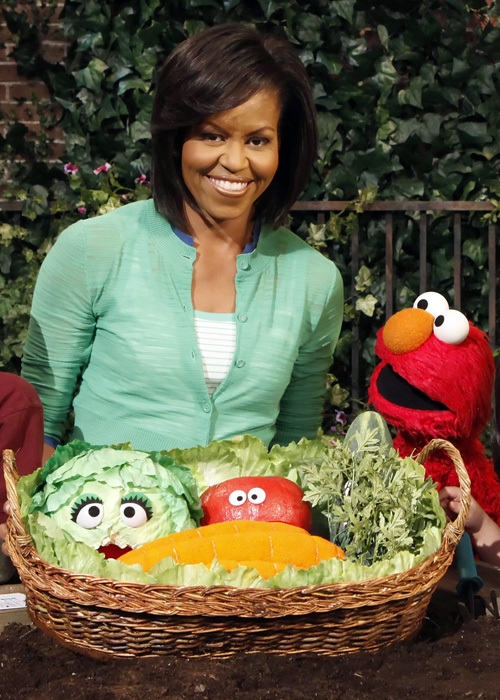 Just take a look at the PBS' childrens program Sesame Street - it is overflowing with secret Muslim teachings. He's tall and has a funny apperance. Doesn't he resemble someone? 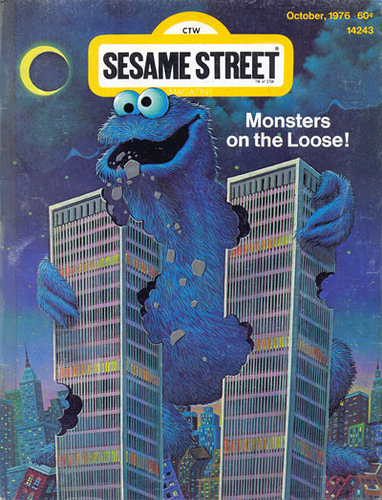 Even look at the name - Sesame Street. 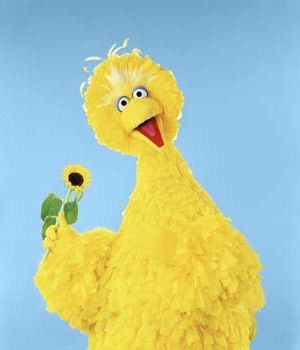 I recall a certain mention to sesame from the collection of Middle Eastern stories "One Thousand and One Nights" - it's even called "Open Sesame" in other countries! Notice the blatant Muslim crescent on the top left of the magazine cover? The only problem here that I can see is that Sesame Street seems to be more exclusive than inclusive.I think Sesame Street should also include some groups I have noticed are excluded, such as Native-Americans, Catholics, Mormons, southern USAmericans etc. 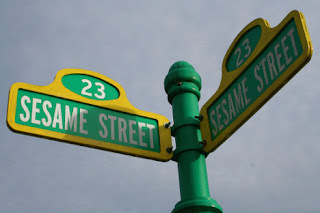 I think Sesame Street would be better served to the public by showcasing behaviors that are most desirable for our children to emulate, such as: include not exclude; tolerance, education not illiteracy, in all areas not only academic; conflict resolution, which includes agreeing to disagree; and, there are many others! 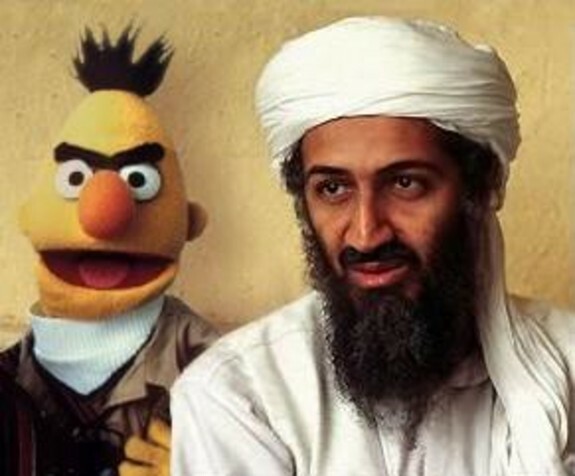 I must say that inspite of all tge complaints about Sesame Street, the show is a wonderful arena for USAmerican ideals! Im 64 yrs old and yet I can say that Ive watched the show since I was 16 yrs old, I lived in Arizona but my parents subscribed to cabel tv out of Orange County California! Ive watched it, my children watched it and my grandchildren watch it! Lets keep it a great show by adding more diversity! Goodluck!